Discover the people and events that shaped Routt County's once wild western frontier outposts into today's beloved Rocky Mountain destinations. 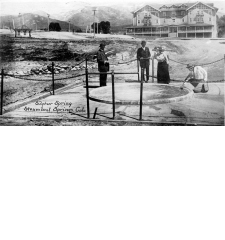 The county's main towns, Steamboat Springs, Hayden, Yampa, and Oak Creek, emerged as trading centers for goods and services in support of burgeoning ranching, farming and mining activities. But in this vast rural region, many more small communities rose up around scattered post offices, stage stops and schoolhouses that connected isolated homesteads and ranches to the outside world. An exhibit honoring the American Legion and the courageous citizens from Routt County who served in World War I. OPENS OCT. 2! 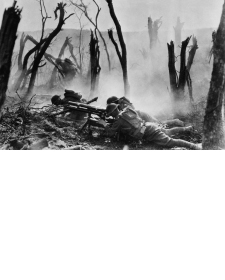 One hundred years ago, the war to end all wars concluded and shortly after, the national American Legion and local Post in Steamboat Springs was formed. In its newest exhibit, the Tread of Pioneers Museum honors the individuals from Routt County who served our country in World War I and highlights local American Legion history. Through this project, artist Sarah Gjertson explores historic mining sites around Colorado, many of which of are in precarious states due to long term exposure, neglect and other human impacts. 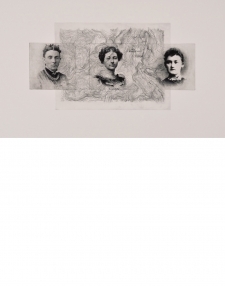 Gjertson has documented and researched a variety of these sites and uncovered some of the lesser known histories of women and their contributions to this highly mythologized time in the American West. 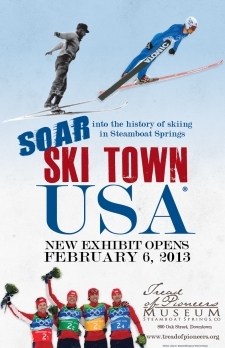 SOAR into the the history of skiing in Steamboat Springs in our new exhibit! 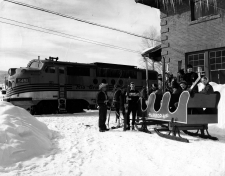 "Ski Town USA" traces the evolution of skiing in our town from essential winter-time transportation to the wolrd reknown recreational sport of today. See the predecessor of the today's snowboard, a chair from the chairlift that once went to the top of Emerald Mountain, and memorabilia from Steamboat's Olympic athletes. On Display June 2019-May 2020. 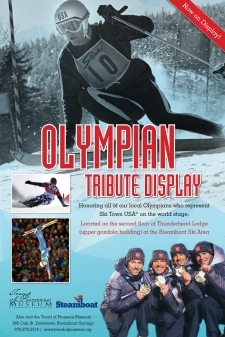 Honoring all our local Olympians who represent Ski Town USA � on the world stage. Located on the second floor of Thunderhead Lodge (upper gondola building) at the Steamobat Ski Area. 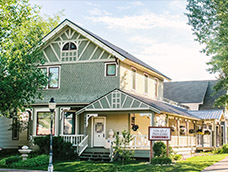 The Tread of Pioneers Museum has created a dedicated kid-friendly exhibit that represents a typical child�s bedroom in Steamboat Springs around 1900. 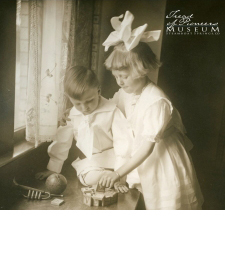 Special exhibit features includes pioneer clothes to try on and historic and replica toys from the turn of the 19th century ready for touching and experimentation including books, blocks, china dolls, teddy bears, porcelain tea sets, stereoscope, and more�all ready for play and interaction. Framed portraits on the wall feature local families and children from the early 1900s. It�s such a big dream, I can�t see it all. 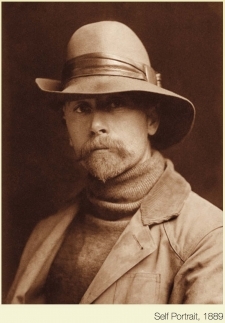 - Edward S. Curtis was a driven, charismatic, pioneer artist and photographer who set out at the turn of the last century to document traditional American Indian life before it disappeared. He rose from obscurity to become the most famous photographer of his time. Curtis abandoned his career as a successful portrait photographer and spent 30 years creating an astonishing body of work capturing Native American culture: 10,000 audio recordings, 20 volumes of text, a full length motion picture, and 40,000 photographs. Discover the inspiring landscapes, indigenous Utes, hardy settlers, and rugged ranchers who made this valley home. 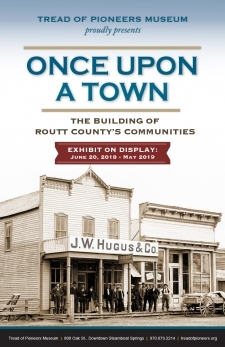 Learn about town founders and how the town of Steamboat Springs developed in this introductory exhibit. Don�t miss our �Hands On Fun!� elements throughout the exhibit.